This thermos is in excellent condition, having spent it's life in a laboratory instead of bouncing around in the boot of the family hack. Unfortunately it appears the stopper part is not original: when you remove the lid there is a cork with chinese writing on it which probably is not very effective compared to whatever is supposed to be there. Either way, externally it looks excellent and would be very nice as part of your display at the car show. Minor surface rust on base. 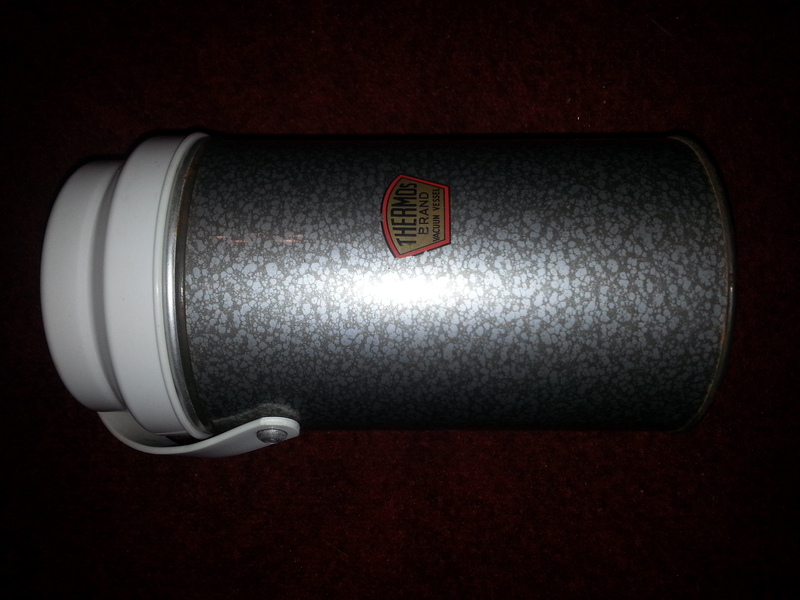 Thermos transfer good as shown. Lid and handle like new. Hard to find in this condition.